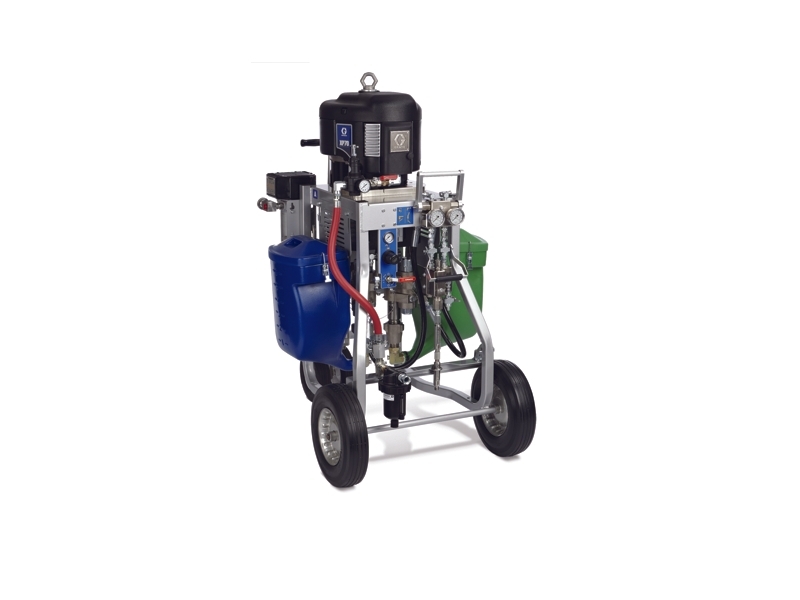 The Graco XP70 Plural-Component Sprayer is the perfect solution for mixing high-viscosity and high-solid coatings. Its cost saving gravity feed design eliminates the need for feed pumps, reduces material waste and uses less clean-up solvent.Engineered for projects that require faster-setting two-part coatings, Graco XP Sprayers are easy to use and provide on-ratio, excellent spray quality for fast-curing materials.Graco XP Plural-Component Sprayers provide the reliable performance you need for challenging two-component projects. In addition, the units are designed to maximise gravity feed, which may eliminate the need for feed pumps.